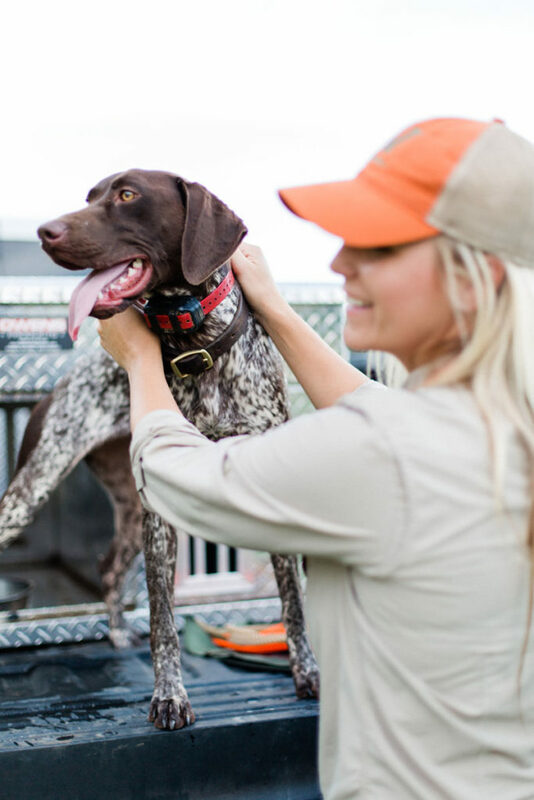 As hunting season wraps up and you think about all the good memories, it’s also time to set a plan for how to make your dog even more successful when fall comes. There is nothing more aggravating than having your buddy’s dog cast too far, causing your hunting partner to interrupt your conversation by constantly yelling at his dog because he is worried that the dog, with a mind of its own, is going to bust birds out of range. Or maybe you just feel like your dog ignores you when the excitement cranks up. How can you get your dog to be more attentive to you without getting pushed to your limits when it’s time to enjoy the moment you’ve been waiting for? Maybe you sent your dog to a pro trainer only for it to come back home and not be quite on point as what you witnessed at the trainer’s facility. It all starts with foundation. If you didn’t set the proper foundation when your dog was a pup, it’s time to go back and start working daily on manners. Every session you spend working your dog makes you both better. Growing pains happen, and that it is when you and your dog really bond. Establishing that you are the pack leader when your puppy is so cute and easy to give into sets the stage for adolescence when they can really make your life a circus. You, as the handler, must possess the authoritative leadership role at all times. Using positive reinforcement and being consistent will ensure that you get immediate results when asking your dog to perform a task. When raising a gun dog, especially the first one, there seems to be a point where you think, “What in the world did I get myself into! ?” It is hard to see light at the end of the tunnel when you have this wild dog that can pull you like a ski boat around the yard, and if it were to ever get loose, you feel sheer panic that it would not stop until it is three counties away. Some say it’s a phase, and the dogs will grow out of it. That doesn’t make it any easier for you. We get dogs with the expectation that they will be our best friend and always want to please us. That can be the case if proper training takes place from the beginning. Nothing takes the place of time, but having a set plan takes away a lot of stress. Also, as a dog handler, it is important that you set realistic expectations for you and your pup. Foundation is the key to all success, especially when working with a bird dog that genetically comes with a big motor. We seek out that drive, dreaming of long days in the field exploring new ground, and then when our puppy reaches 6 months of age, we are left wondering how to funnel that energy for success. Finding a program that is tried and true, and that is communicated in a way that makes sense to you, is key for your success with your pup. I have found that the Hunt Smith program worked the best for me. There is a clear and direct plan to follow, with videos that can be watched over and over as needed. No matter if you plan on traveling the country chasing birds or just having a companion pet, establishing discipline from the time you get your dog not only allows for a fun life together but also ensures safety for your dog in future situations. Having a dog that will respond to the first command can avoid a bad scenario just as it can create a lifetime of memories. As caring pet owners, we all want the best life for our dogs, and creating a partnership based on trust allows for more freedom. 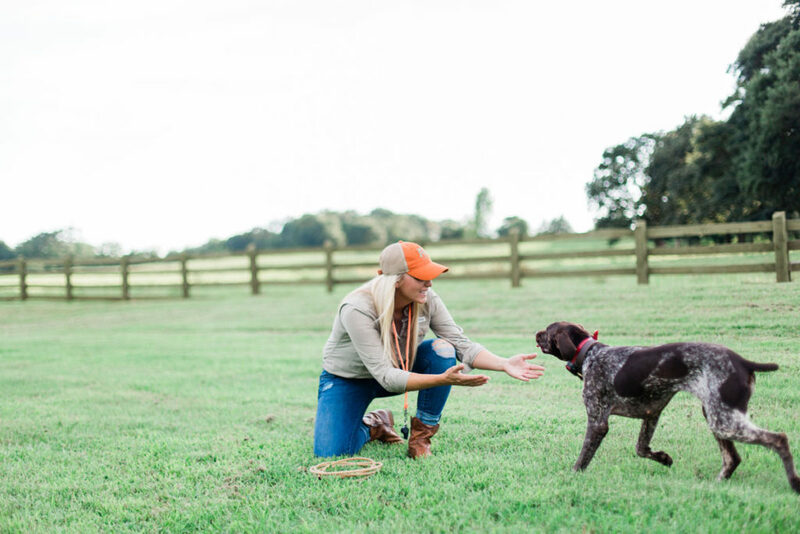 The idea of the Hunt Smith program is that you want your dog to do 3 things: 1) GO WITH YOU, 2) COME TO YOU and 3) BE STILL. The first time I heard Rick Smith say this, it clicked for me. Since my dogs travel with me on a regular basis, they need the skills to be obedient in many types of social situations as well as in the field. I found this system to apply in every aspect of our lifestyle and set the stage for bird dog training when that time came. There are specific tools required for the Hunt Smith program and are sold as a package or individually. I purchased the program as a package and went straight to work following the program step by step. Selecting an e collar is not included. I have always used the Garmin Pro 550 for training. When the Garmin Pro 550 Plus came out with an added GPS system, it was an easy transition for hunting. 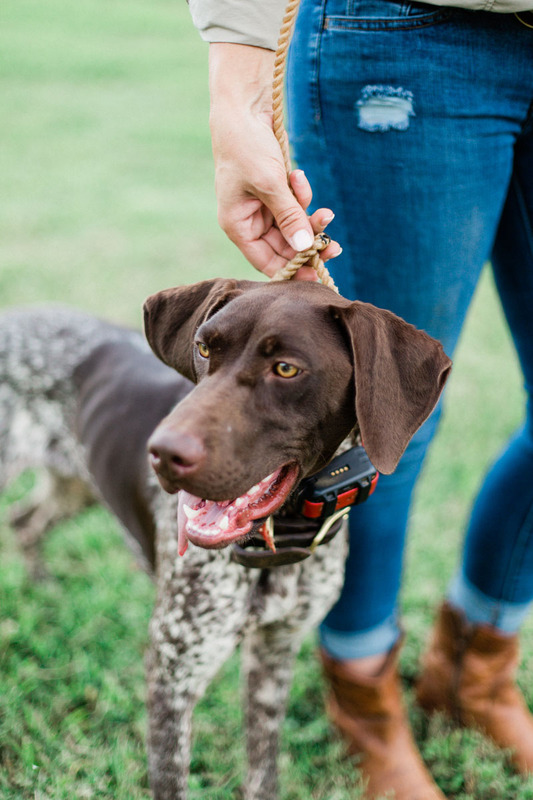 The command lead works wonders in helping your dog learn to walk on a lead and is the first step in the ultimate goal of having your dog heel and come when called. 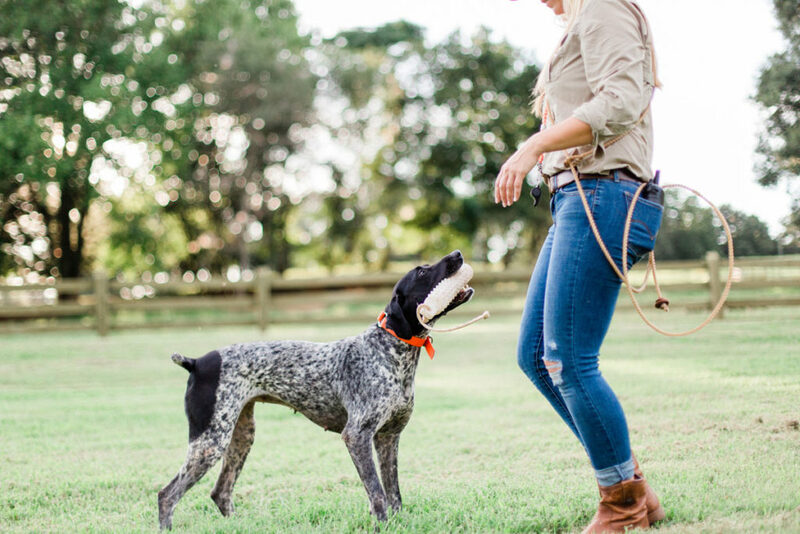 After you have exceeded expectations on the command lead, moving to the check cord and building on the skills established with the command lead gives your dog confidence as you cover more ground, and your dog has more opportunity to make mistakes. You will learn to read your dog and assist him in making correct choices. Transitioning from check cord to e-collar is the last step. The Hunt Smith videos do a great job explaining how to use an e-collar properly. There is a right and wrong way of incorporating collar stimulation. Garmin also has great videos online for learning more about how collars work and how to evaluate your dog to understand the level of stimulation necessary. Every dog will respond differently, and you must know how to personalize the adjustment. I also add to this system by using everyday activities as learning experiences with my dogs beyond the command lead, check cord and e-collar. For instance, I take extra time when bringing my dogs out of their kennels, making them stay and not letting them bolt when I open the door. I reinforce place training in the house, lengthening the time I require them to stay in one place. Activities like these will make all travel and hunting trips so much easier when you have a solid relationship with your dog. The key is giving them a clear expectation of their job, and the reward is one fun-filled season after another. You can find more information about the Hunt Smith system at huntsmith.com. For more tips about bird dogs and Wingshooting visit annavoutdoors.com and follow @annavoutdoors on Instagram. Korwin: Gun Training Good. Forced Training Bad. About the author: Anna V is an Ambassador for CZ shotguns. 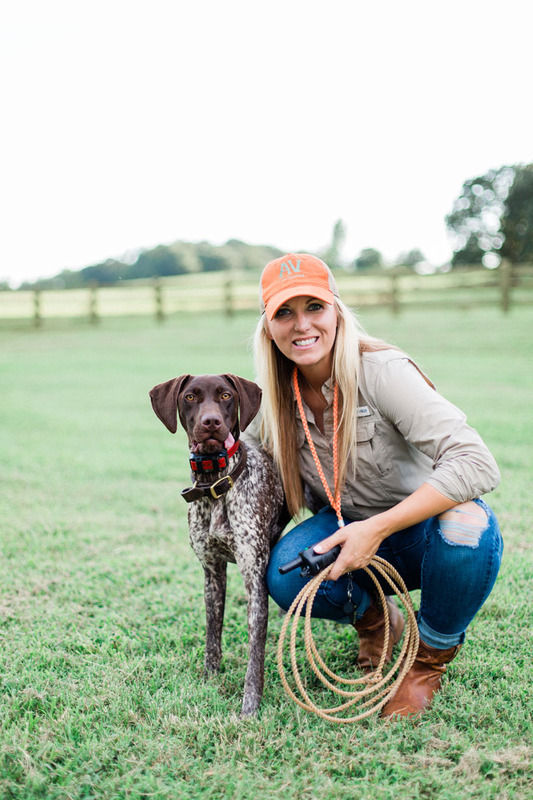 She’s a bird hunting and clays-shooting enthusiast and conservation advocate. As a certified NSCA Instructor, she shares her passion for shooting sports by encouraging others to master their game in sporting clays and wingshooting. 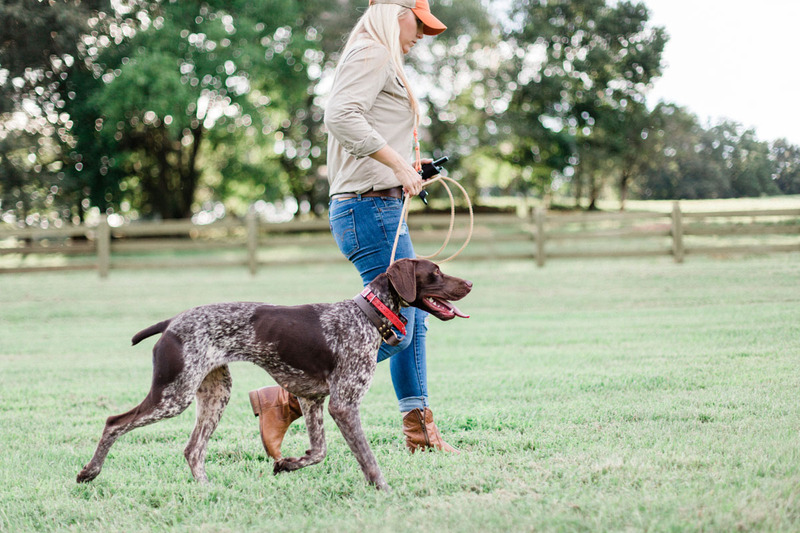 When Anna is not shooting clays, you will find her working her German Shorthaired Pointers and field trialing. I hope that girl makes enough money from this story to buy her some new blue jeans. Haha.